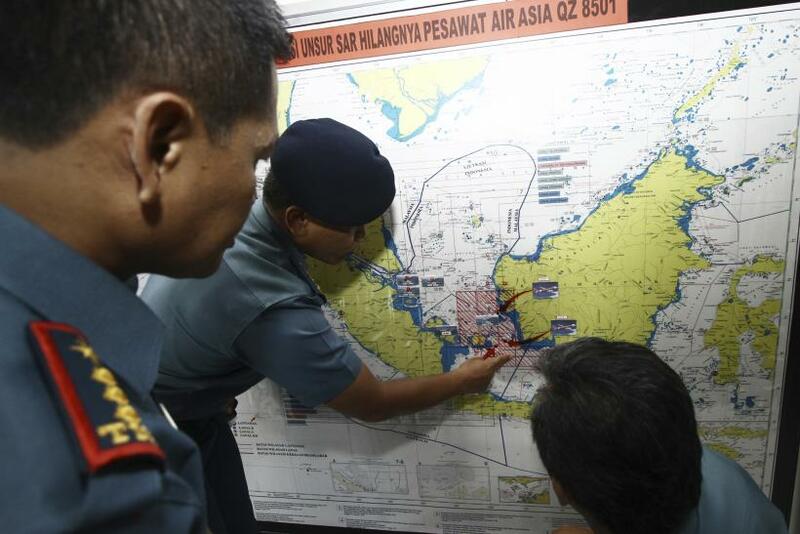 AirAsia QZ8501 Search: How Do Airplanes Disappear In The Age Of Modern Technology? The sudden disappearance of AirAsia Flight QZ8501 has renewed debate over how authorities can lose track of a modern commercial airplane in the age of GPS technology and when cell phones can be located in an instant. Part of the challenge is the global airline industry remains largely reliant on less-than-modern technologies like radar, which has limited capabilities over large bodies of water such as the Java Sea where the AirAsia flight disappeared Sunday. The head of Indonesia’s search and rescue agency said Monday the plane, which went missing a day earlier on its way from the Indonesian city of Surabaya to Singapore, was likely at “the bottom of the sea.” However, the location of the plane is still unknown, he said, along with information about why air traffic controllers lost contact with the aircraft. 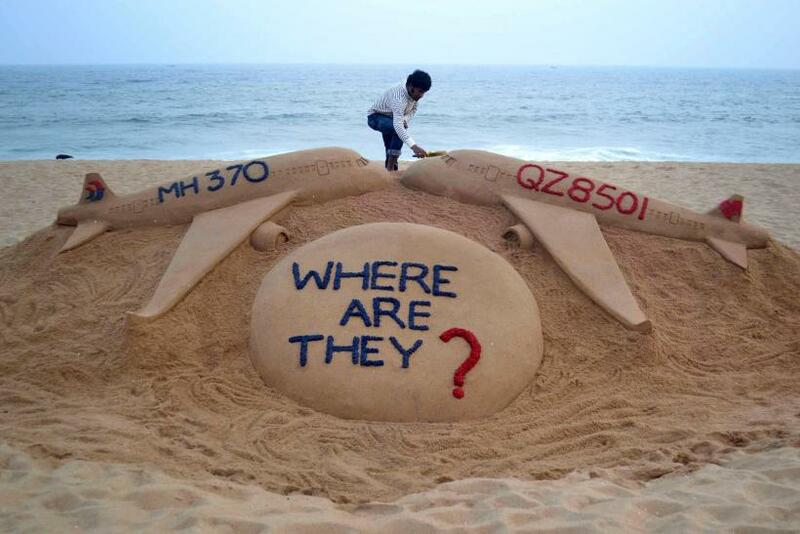 The global tragedy is the second such high-profile incident following the unsolved disappearance of Malaysian Airlines flight MH370 in March. The Airbus A320-200 took off from Surabaya at 5:36 a.m., local time, with 162 people on board. Roughly 40 minutes later, the plane’s pilot requested permission from air traffic controllers to turn and climb to a higher altitude to avoid bad weather, CNN reported. Just minutes after the request was made, the plane disappeared from radar. Standard international practice holds airspace is monitored using two radar systems, the BBC reported. The primary radar system is based on the earliest form of radar developed in the 1930s, which detects the approximate position of the plane using radio signals. The secondary radar system relies on planes to supply additional information, including altitude, through a transponder, an automatic device with which all commercial aircraft are equipped that also relies on radio signals sent by radar. Among the major problems in determining the locations of both the AirAsia flight and that of MH370 are they were out of radar range and over water. Once an aircraft is more than 150 miles out to sea, radar coverage fades and the crew relies on high frequency radio to stay in touch with air traffic control and other aircraft, the BBC reported. In cases where flight crews are inexplicably rendered incommunicado, as in both the AirAsia and Malaysia flights, radio communication becomes moot. Radar is also not able to spot aircraft flying below a certain altitude because of the Earth’s curvature. There are more indirect methods to determine a plane’s location, however. Onboard computers automatically send periodic transmissions of certain flight performance and maintenance data. This data is typically transmitted to the plane’s manufacturer and, in the case of Air France Flight 447, which crashed in the Atlantic in 2009, has also been key in helping to locate wreckage. That Airbus A330 aircraft had been fitted with a sophisticated messaging system which helped investigators to track it down, USAToday reported. One of the main issues in tracking the Malaysian Airlines plane was one of these data systems, known as the Aircraft Communications Addressing and Reporting System, was manually disabled in the cockpit, leading many to wonder whether its disappearance was an act of terrorism. There has been no indication any of these onboard data systems was disabled on the AirAsia flight although Indonesian authorities have yet to release the data transmissions, the New York Times reported. The most foolproof method of determining the exact circumstances around air disasters is by locating and reviewing the in-flight data and voice recorder, or black box. Built to withstand crashes and fires, black boxes are also equipped with beacons that transmit ultrasonic pulses every second from the moment they come into contact with water. However, locating these devices is a major challenge because their range is limited and search crews can rarely detect them unless they are close to the crash site. In the case of the Air France flight, it took investigators nearly two years to locate the black box, the BBC said. The push to equip black boxes with GPS technology has been gaining steam since the Air France crash; however, the Federal Aviation Administration (FAA) in the U.S. has argued using GPS to live stream all black box information would pose too many technical challenges and would be prohibitively expensive for airlines, the New York Times reported. Pilots currently use GPS to track their own positions, but such data is not usually shared with air traffic control because the transmission of large volumes of flight data is expensive, the BBC said. GPS technology also currently exists to track aircraft in real time, including a system known as ADS-B, which stands for automatic dependent surveillance-broadcast. This technology can be used in place of radar in remote locations; however, it has not been widely adopted in the airline industry, NPR reported. For airlines to begin outfitting their aircraft with this technology, it would require a coordinated, industrywide shift -- one that would likely cost billions, the Times said. More modest safety proposals have been floated. In February 2012, the FAA said by 2015 underwater beacons on black boxes would be required to have batteries that last 90 days once they are activated, rather than 30 days, the Times said. The FAA only has jurisdiction over U.S. air carriers, so the proposal will likely see only limited implementation across the global airline industry.